In the summer of 2012 I worked as projectcoordinator at CBK Drenthe in Assen, The Netherlands. I a.o. helped the team out with organizing the Nature Now exhibition, curated by CBK Drenthe director Toos Arends. The project was about contemporary visions on nature. We make use of nature, without precisely realising what nature is, and what impact it has on us. This exhibition in a sense helped to create awareness. 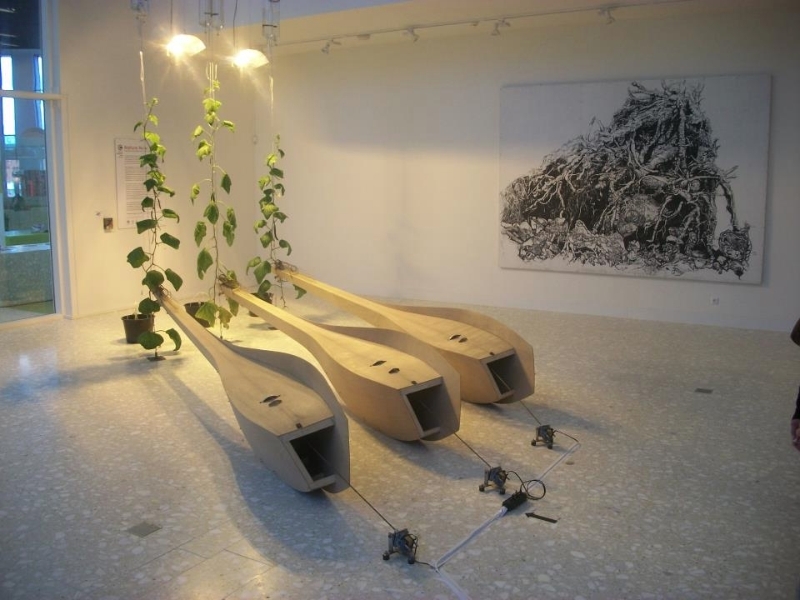 Artist Ronald van der Meijs not only made visible how a cucumber grows, but also made it audible. 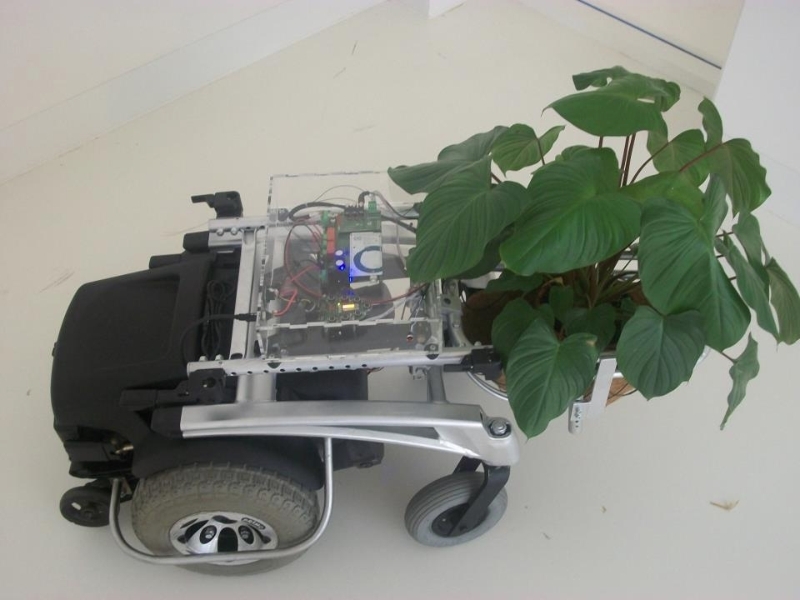 Ivan Henriques invited us to touch a plant that was connected with a car. By touching the plant, so much energy was created, that the car could move. Apart from this, there a.o. 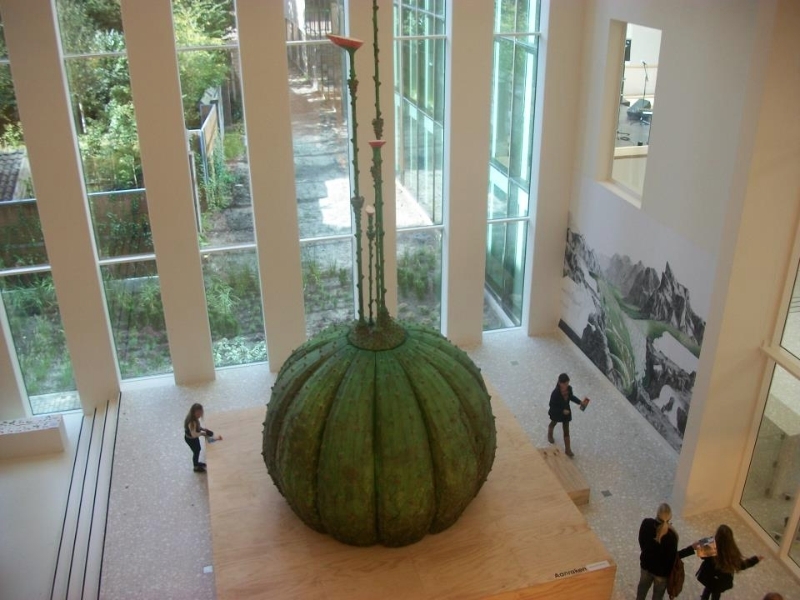 were drawings about wildness (Erik Odijk, Dennis Amatdjais), a video about the behavior of animals, and a sculpture of a huge cardamom plant (Peter de Cupere). Together with intern Marijke van der Laan I set up a collaboration with Tuinland, I came up with excursions and lectures and did ask for funds (the project got funded by Mondriaan Fund, Rabobank Assen-Beilen, Prins Bernhard Cultuur Fonds Drenthe). We also got AOC Terra involved, a senior college in Assen, with a focus on nature, environment, health and sustainability. And we involved a couple of artists (Ivan Henriques, Dennis Amatdjais, Ronald van der Meijs). I always find it important that you somehow engage the local environment. That’s what I also tried to do with Nature Now. 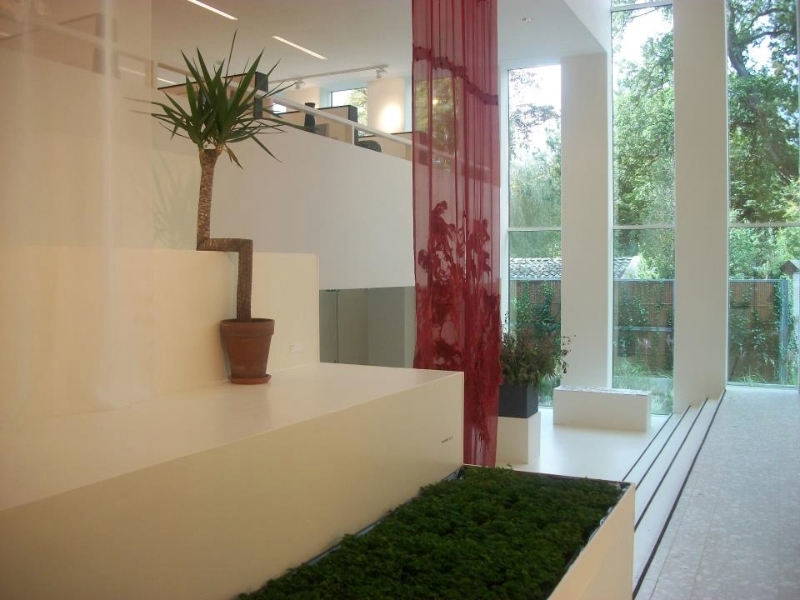 Students of AOC Terra got to design a garden at CBK Drenthe as part of this project. 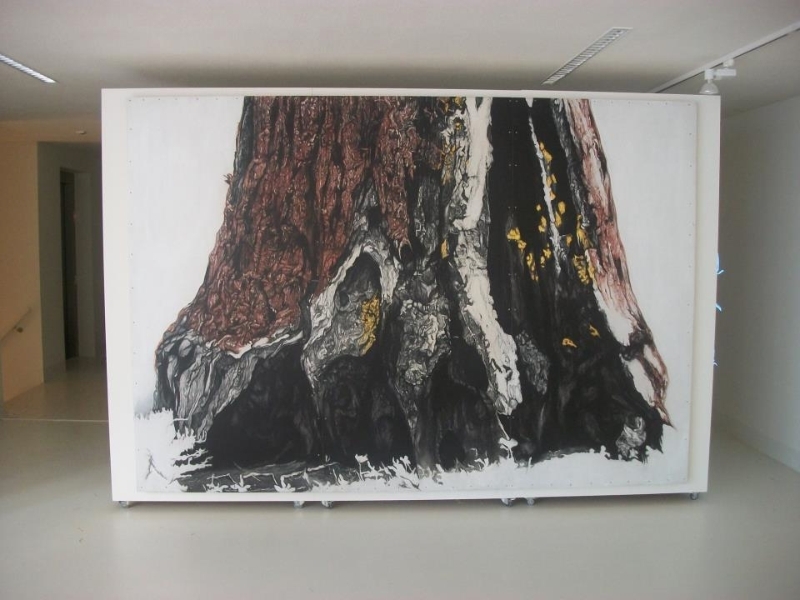 We organized excursions to local gardens and to the studio of artist Claudy Jongstra. We organized lectures at the local library (a.o. by Koert van Mensvoort), Tuinland agreed to deliver kruidje-roer-me-niet’s, which literary became part of the exhibition, and which could be touched by the audience. And so on. This way, the project got more impact and involved the local community. Nature Now was the type of exhibition that not only did apply on our sight, but also on other senses. It wasn’t a doomsday view on how bad everything is going in modern day world. Nature Now wanted to make aware that nature shouldn’t be taken for granted, at the same time emphasizing that the meaning of nature has changed. 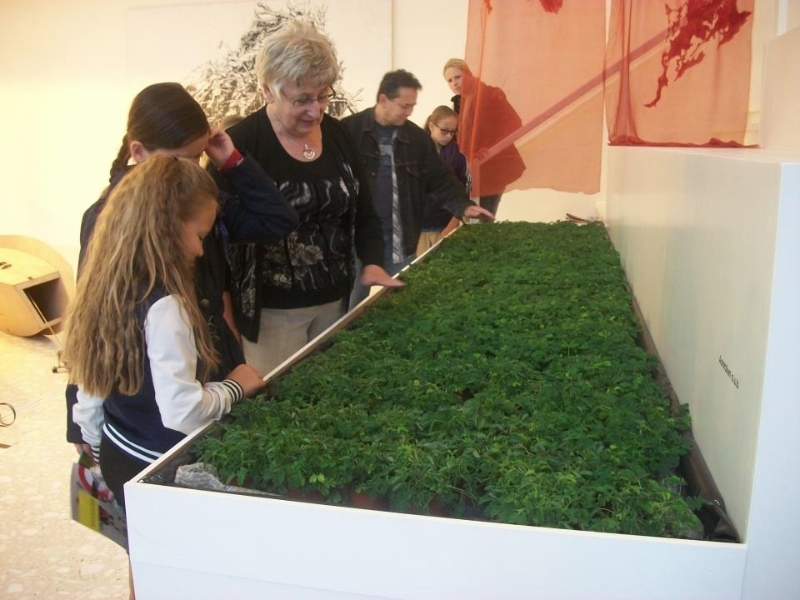 Nature Now was named as most succesful exhibition of CBK Drenthe (Assen), which unfortunately ceased to exist in 2015. Nature Now was made possible with financial support of Mondriaan Fund, Rabobank Assen-Beilen and Prins Bernhard Cultuur Fonds Drenthe.